Cleo Cole Elliott is an American musician who has been around since her childhood, thanks to the fame of her parents Sam Elliot and Katherine Ross. Here is everything you need to know about the beautiful woman. It was on September 17, 1984, that Cleo Cole Eliot was born in Malibu California. 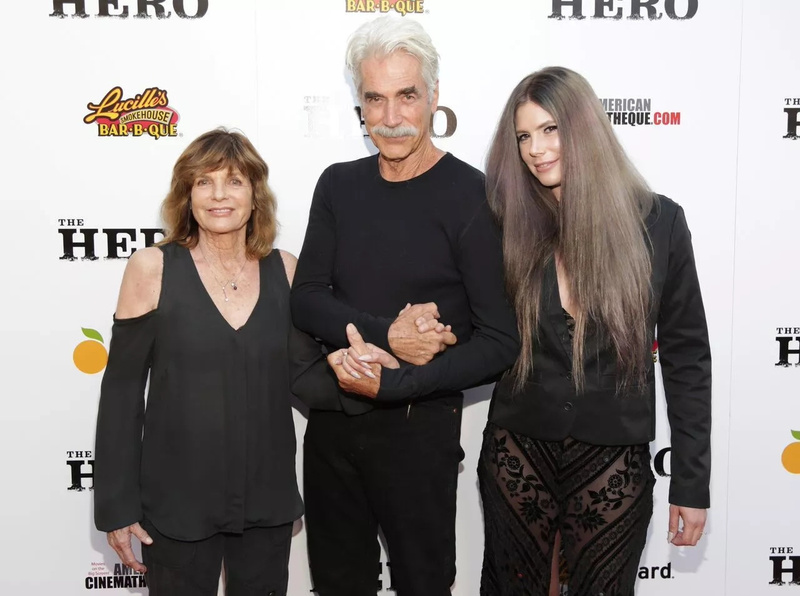 As an only child, she was raised in the shadows of her very popular parents, Sam Elliott who is an American actor, writer, and producer, and her mother Katharine Ross who is a stage and film actress. For her education, she didn’t get it from a conventional institution of learning. Instead, she decided to focus on learning music with great emphasis on Italian opera. Also, she later proceeded to learn acting from the Joanne Barron/D.W. Brown Acting Studio. Thanks to the fact that she had parents in the entertainment circles, it was an easy decision for her to want to be a part of the entertainment world, although in a different line from what her parents are into, and that is what drove her to music. She got to learn musical instruments from a very young age and got the encouragement of her grandmother to be a singer. As revealed by her mother, while Cleo was growing up, she was a rather violent child. It has been revealed that even as an adult, she has not gotten over such violent tendencies. In fact, in March 2011 when the woman was 26, it was reported that she had threatened to kill her 71-years old mother who had to get a restraining order against her. Interesting enough as regards the violent temper of Cleo Cole Elliott that was said to have become known even before the musician was 12, Katharine Ross claimed that the musician had attacked her as much as half a dozen times with a pair of scissors. At a point when she picked the phone to call the police, she revealed that Cleo cut the phone line. After her musical education and training under Charity Chapman in classical music, she went on to release her first album, No More Lies. This is even as she preferred performing to recording. The album which was released in 2008 didn’t quite make a strong impression. Since from then, she has been unable to make a very serious break into the music world. She is also a member of the American Society of Composers, Authors, and Publishers (ASCAP), and she trained as a model. At the end of the day, however, her greatest fame would only be as Katharine Ross and Sam Elliott’s daughter. While Cleo has been able to achieve something decent for herself, it is not known what her exact worth is in terms of finances. There are some sources that although have not been confirmed, placed her somewhere in the range of $1.5 million. With that stated, it is obvious that she grew up in massive wealth and she may still be in one. This is most especially when you decide to consider the fact that the net worth of Sam Elliott is said to be as much as $10 million while that of his wife is placed at $5 million. One of the things that can hardly ever be taken from Cleo is the fact that she is a very beautiful woman who is well measured to the eyes. She has a height of 5 feet and 8 inches (69.6 inches). Her exact body measurements and weight are unknown. Her father, Sam Elliott is the fifth husband of her mother, and the two have her as their only child. She grew up with a bad temper that saw her physically and verbally abusing her mother to a point that her mother got a restraining order. Apart from being a musician, Cleo Cole Elliott is also a model. Even though she has kept her relationship life away from the media, it is known that she is not married. There is a rumor linking her to Randy Christopher whose pictures she has shared a number of times on Instagram. She is more popular to many as Sam Elliott and Katharine Ross’ daughter than she is as a model or even a musician.